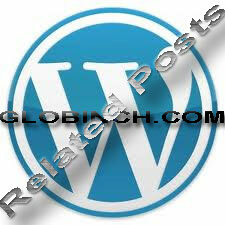 To include related posts for one of my wordpress blog I have identified few of the popular related posts plugins for wordpress.Most of these plugins are easier to install, they are actively maintained, and those would give lot of options to customize.Most of these plug-in will work for other blogging platforms like Blogger and Typepad also. YARPP or Yet Another Related Posts Plugin is one of the most widely used related post plugin for wordpress. It uses a customizable algorithm considering post titles, content, tags, and categories to find the most relevant related entries.YARPP organically caches the related posts data as your site is visited, greatly improving performance. It is easy to install and you can tweak a lot. You can disallow categories , tags, maximum number of related posts etc. The plug-in provides text links and doesn’t provide thumbnail images of related entries. LinkWithin is a blog widget that appears under each post, linking to related stories from your blog archive.Linkwithin retrieve and index all stories from the blog archive. The related posts are not just links, Linkwithin displays thumbnail images of the posts. If there are no images available for more thank half of the related posts links, then they will appear as text links. Outbrain Widget is just alternative of of Linkwithin widget.The widget is free, simple to install and will automatically inherit the look & feel of your site. You can register your blog or website so that you will get access like reports and advanced settings.Available for most of major blog platforms. WordPress Related Posts is another related posts plug-in.WordPress Related Posts Plugin will generate a related posts via WordPress tags, and add the related posts to feed.You can set related posts with thumbnails.But you need to ensure that thumbnail images available for every post.You can tweak the plug-in to a great extend.